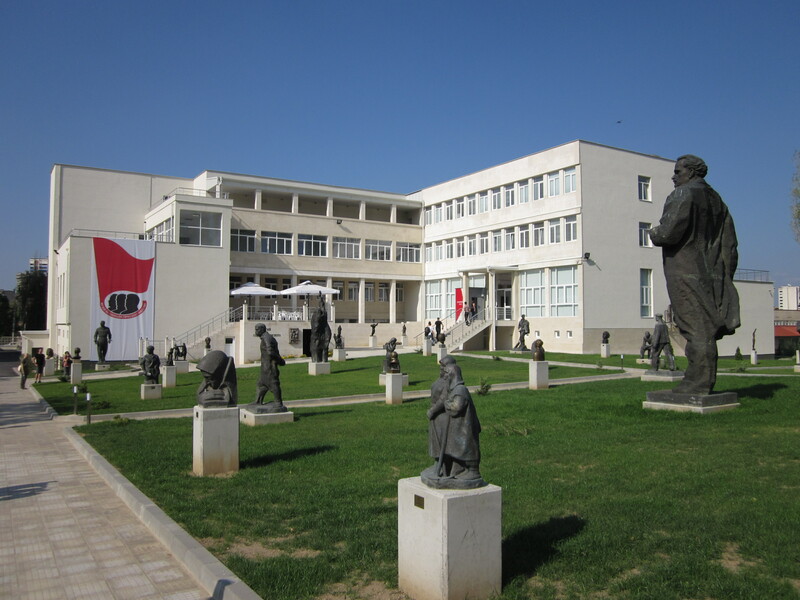 Museum of Socialist Art in Sofia was established in 2011. The museum’s collection represents the period from the time of introduction of the communism until the end of the totalitarian regime, entire 45 years or precisely, from 1944 until 1989. The museum is located in the suburb known as “Red Star”. It consists of three parts: a park including 77 statues or sculptures of personalities important for the communist period, an exhibition hall with 60 paintings and 25 easel paintings representations and a media or video hall in which propaganda films and newsreels related to the communist period, are screened. Prehistory Hall, which displays a collection from the Early, Middle and Late Palaeolithic period, Neolithic collection, the Copper Age and Bronze Age. Treasure, which includes the treasure from the late Bronze Age period to the late Antiquity. Main Hall, which includes a collection from ancient Thrace, Greece and Rome to the middle Ages. Medieval section, which consists in items describing this period. 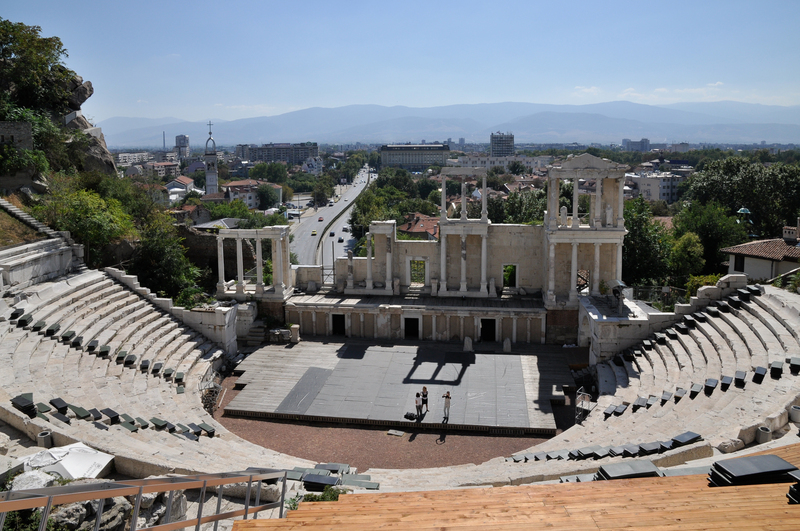 Plovdiv Roman Theater is located in the Old town of Plovdiv. It was constructed in the 2nd century AD and damaged in the 5th century AD. The theater was founded in the early 1970, due to a landslide. This caused a major archaeological excavation and the restoration is considered one of the best achievements of the Bulgarian Conservation School. Today, the theater is one of the most famous landmarks of the city and it is still used today for a variety of performances. It has a capacity of 3.500 spectators. Sveshtarska Thracian Royal Tomb is the most significant finding on the territory of the historical and archaeological reservation of Sboryanovo. It was found in 1982, but it was constructed in the first quarter of the 3rd century BC representing a unique monument of the Thracian tomb architecture. It has significant size: its length is 7.5m, its width at the facade is 6.5m and the height of the tom chamber on the inside is 4.45m. The tomb was constructed of large limestone blocks. Its decoration is in the spirit of the Hellenistic culture, but it is being transformed through the vision and beliefs of the Thracian tribe known as Getae. Due to its remarkable architecture and its artistic decoration, the Sveshtarska tomb is included in the list of global cultural inheritance of UNESCO since 1985. The Madara Horseman is a part of the cultural treasure of the Madara national historical – archaeological reserve, located 17km northeast of Shumen, 2km from the village of Madara and 75km Varna. The reserve was first settled during the late Stone Age and it has been occupied ever since. Visitors can observe evidence of the material and spiritual cultural development of many ethnic groups from diverse epochs. 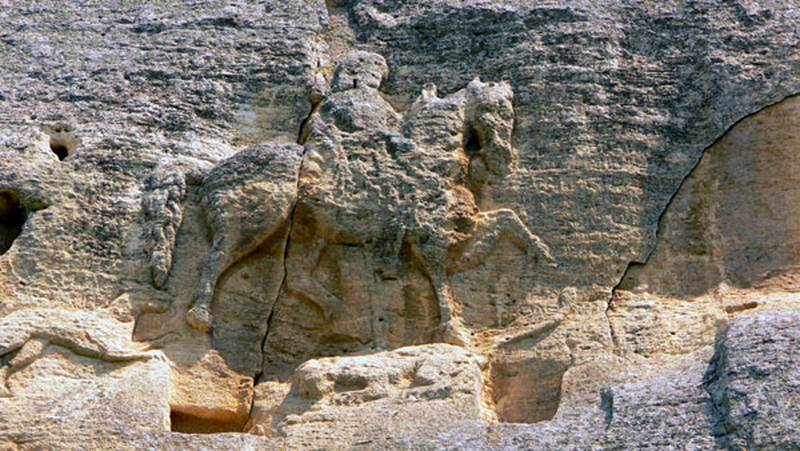 The Madara Horseman is its most notable monument, representing a unique stone relief. It is carved on a massive cliff some 23m high. The relief depicts a horseman in a natural pose with a sword in his hand. At the feet of the horse is a lion and behind the rider is depicted his hunting dog. The monument is originating from the very late 7th century and it is a symbol of an early medieval Bulgarian artistry. The stone relief is the only one of its kind in Europe. In 1979, it was included on the list of UNESCO World Heritage Sites and in 2008 it was chosen as the national symbol of Bulgaria. The Museum of Mosaics is located in the town of Devnya. It was constructed over some of the foundations of a Roman building discovered during the archeological excavations carried out in 1976. The ancient building dates back to the time of the Emperor Constantine I the Great, the end of the 3rd century and the beginning of the 4th century. It was an urban house that took up the area of a whole quarter of the Roman town of Marcianopolis which was one of the biggest towns in this part of the empire. 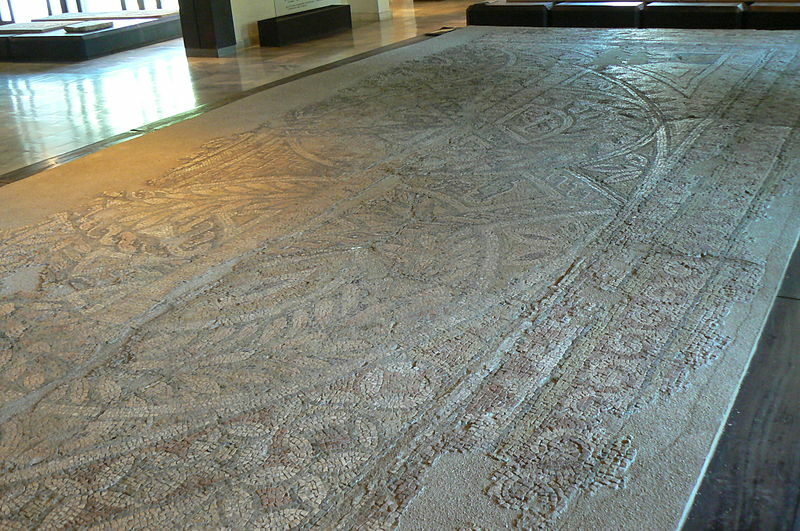 Five of the rooms and the portico are covered in multicolored floor mosaics, some of the best examples of Roman mosaic art found on the territory of Bulgaria. The mosaics are made of tiny stones-cubes of marble, limestone, baked clay and glass painted in 16 colors. They represent mainly characters and scenes from the Greek-Roman mythology, exotic animals and birds and floral and geometrical patterns. 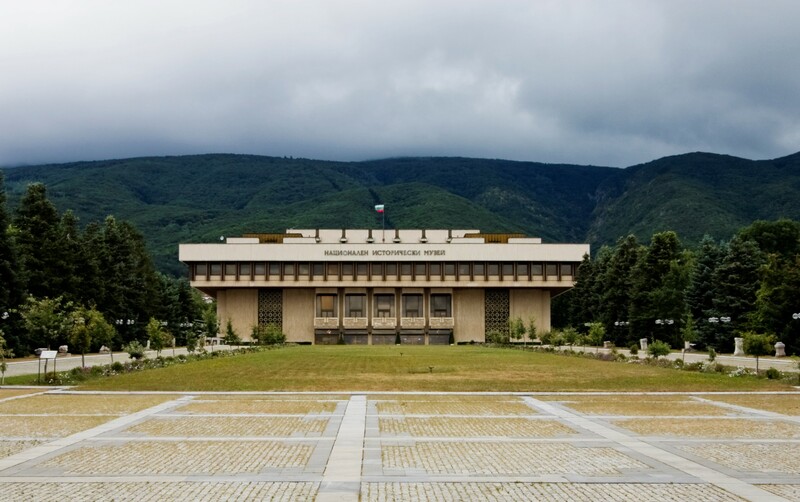 The National History Museum in Sofia is the Bulgaria’s largest museum, founded in 1973. Its collection includes materials dating from the prehistoric ages up to the present days. It gives an exceptional image of the different periods important for the Bulgarian history and cultural legacy. The museum undertakes professional conservation and restoration of historical monuments, authenticity investigations and expert valuation. The Neolithic Dwellings Museum is located in Stara Zagora and contains finds that are extremely important for the history of mankind. It exhibits the two best preserved Neolithic dwellings in Europe that date back to the 6th millennium BC. A great number of pottery vessels, some of which have graphite decorations on them, are displayed in the museum. Another interesting exhibit is the musical instrument called goblet drum from the 5th millennium BC, probably used in religious rituals as well as the collection of religious figures. The museum also preserves the oldest marble statuette found on the territory of the country that dates back to the 6th millennium BC. The Neolithic Dwellings Museum is a branch of the Regional History museum of Stara Zagora. The site was declared an archaeological monument in 1998. 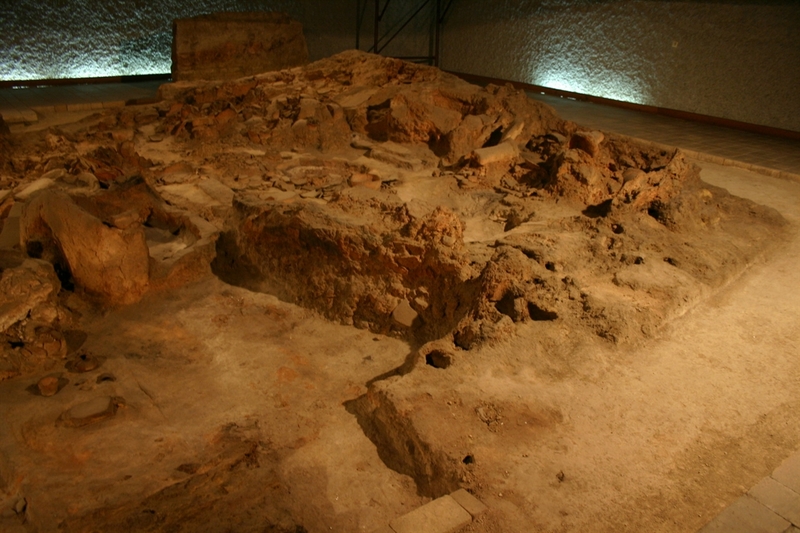 The Roman Baths in Varna is a complex of Ancient Roman baths, located in the southeastern part of the city of Varna. Covering a surface of 7 000 m², they are the fourth largest ancient Roman baths in Europe, behind the Baths of Caracalla and the Baths of Diocletian in Rome and the Baths of Trier in Germany. 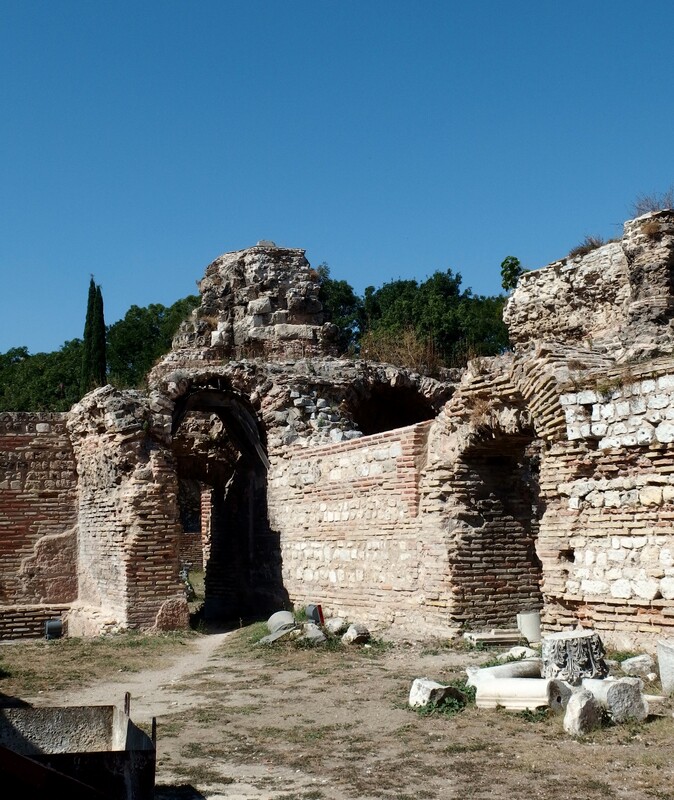 The Roman baths in Varna are also the largest on the Balkan Peninsula, built during the 2nd century AD. The baths were not only for bathing, but also for important business meetings and socializing. 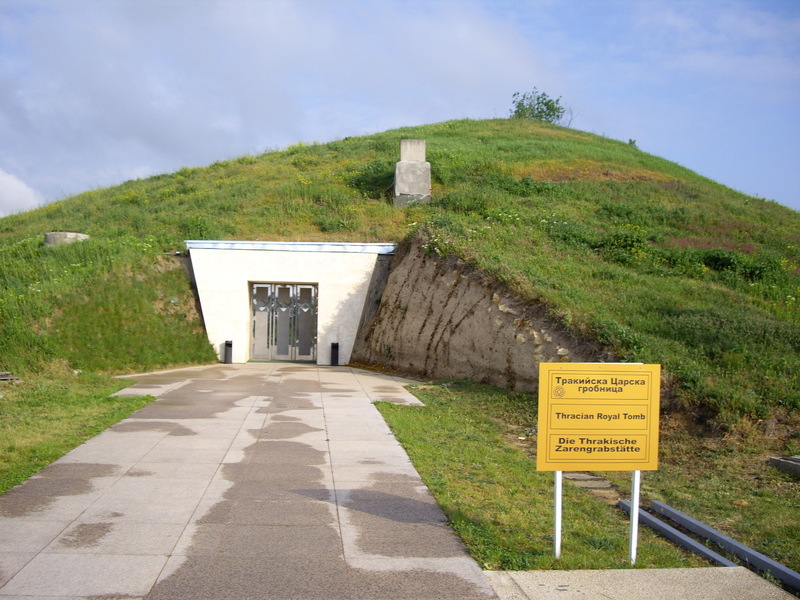 The Thracian Tomb of Kazanlak is one of the most significant monuments of the Thracian culture in the country, included in the list of the global cultural inheritance of UNESCO in 1979. 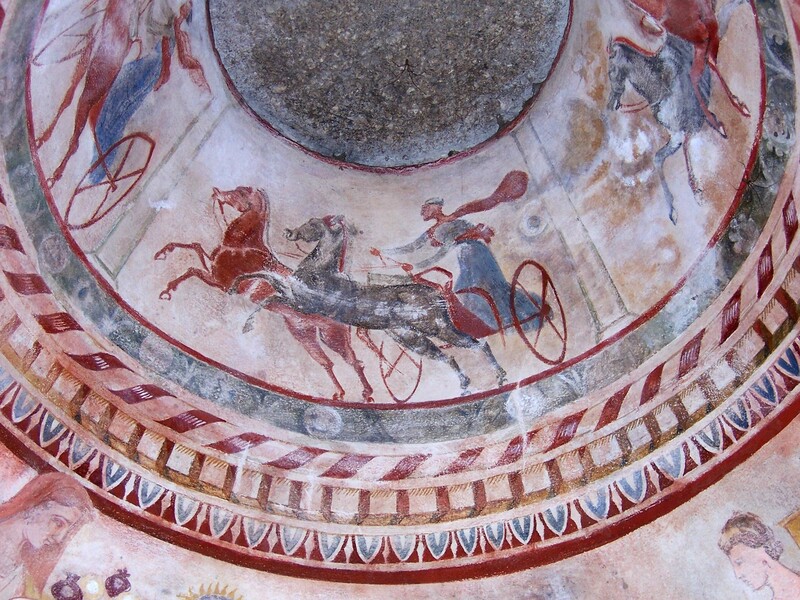 The tomb was accidentally found in 1944 in the northeastern region of Kazanlak, and it is a significant monument of the Thracian art from the early Hellenistic age. The tomb is a part of the Valley of the Thracian Kings and based on its architectural outlook, it belongs to the dome tombs, typical for the Thracian funeral architecture from the end of the 5th and the beginning of the 3rd century BC. 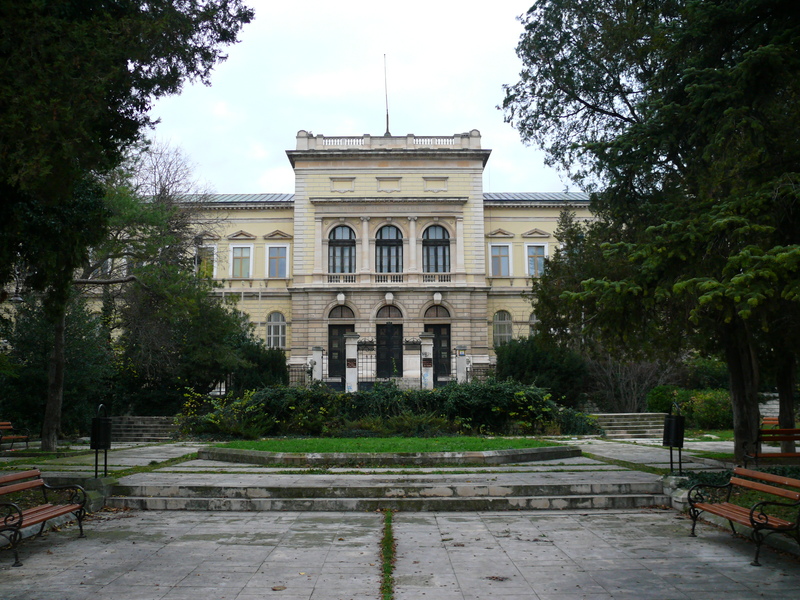 Varna Archeological Museum is located in the city of Varna on the Black Sea coast of Bulgaria. The museum, occupying the historic building designed in the Neo-Renaissance style, displays object from diverse important periods. It is one of the best museums in the country including the most celebrated exhibit “Gold of Varna”, the oldest treasure in the world dating from 4600-4200 BC.